“With all my might I wanted to fight for the restoration and renewal of at least one of these forgotten persons.” This is how Barbro Sandin describes her first meeting with schizophrenic patients at Säter Mental Hospital in January 1973. Barbro was at that time 40 years old, a former housewife and the mother of three children. She was a newly educated social worker, but still not a trained psychotherapist. She was deeply familiar with philosophy and literature and – since she was brought up in a religious environment – with the language of the Bible, which she used in her own independent way. The result of this first meeting was a powerful and devoted commitment – continuing to date. Barbro´s report on the work with her first patient in the Swedish Medical Journal, 1975 was a light in the dark for many of us who could not see how we would be able to help psychotic patients. However, the majority of the Swedish psychiatric profession was sceptical and critical – for many years even resistent and hostile. As a psychologist, I soon got in contact with Barbro and had the advantage of being supervised by her. I would like to highlight what I belive characterise her long-lasting work. 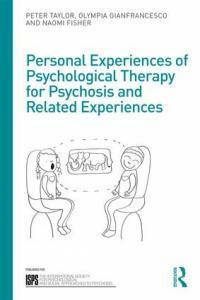 Soon Barbro became a source of inspiration and she set the tone within the psychotherapy of psychoses, not only in Sweden but in Scandinavia as a whole. She contributed to drawing attention to the conditions of the patients and to reducing the taboos and fears that surround schizophrenia. The patients themselves, and not least their relatives, got new hope and the strength to forward new demands on public healthcare. However, this was not well received everywhere. The importance of Barbro is of course due to the encouraging good results that she and her team achieved in their work with schizophrenic persons. Barbro also has a unique and engaging ability to share her experiences. In her lectures she always departs from case-studies. Her starting point is the existential perspective – the genuine meeting with the patient, keeping in contact with the common human conditions of good and evil, life and death, loneliness and sense of community. With her common language Barbro also creates a “meeting room” when she delivers lectures or talks, with sincerity and humour in harmony. She helps us to “hear” the patient´s actual situation. Over the years she has also convincingly shared her experiences from a large number of patients´ radical journeys towards health and freedom from psychosis. Barbro has always emphasized that psychotherapy with psychotic patients is a teamwork. What became known as the “Sandin model” requires that around the patient there is a group of staff, who work continuously and reliably for many years in enduring everyday contact, with outpatients as well as with inpatients. The treatment is built on a long-term perspective with a focus on every patient´s unique personality and circumstances. Barbro holds that the person who suffers from schizophrenia withdraws from life and development in his attempt to get away from destructive anxiety. The patient thereby looses the communication inherent in a relation, which is precisely what he needs to be able to develop. He suffers from not being able to exist, he needs above all our co-existence. The patient must obtain faith in life and in its possibilities from his human environment until faith in life becomes his own solid experience. Consequently, the human relations in the treatment milieu are of crucial importance for the ability of the patient to develop his own confident self. Barbro often refers to Martin Buber: The Self is created in the meeting with Thou. Supervision by Barbro on the basis of these premises was innovative in the late seventies. Every member of the team participated and no one prevented the patient himself from dropping in. Old structures were thus broken and human resources, not least those of the patients themselves, were used. Everyone became aware of one´s own importance, maybe as a “life line” to which the patient chose to attach himself until his contacts could safely be widened to others – or as a”container” of those feelings that the patient was not yet able to contain himself. The respect for the patient increased while the respect for the sickness or madness decreased. A non-sentimental, open and prestigeless atmosphere developed, where humour and enjoying life became resourses of great value. Since everyone during an extended period of time got to know the patient as a person and his life history, as it became visible in the therapy work, everyone involved also came to understand the former “patterns of sickness”. Many were those patients who thereby got radically changed opportunities in life. Barbro´s far-reaching work as a lecturer and supervisor has been important not only for the patients, but it also changed many people´s view of schizophrenia and its treatment – even their view of their own lives. Psychotherapeutic work with psychoses is overwhelming and enriching for everyone involved. In 1987 Barbro received a donation of one million SEK from a private person. She then left public psychiatry and was, together with her co-workers who all joined her, able to start the Walla Foundation Clinic in Ludvika – a beautiful and “homelike” treatment environment, which is beneficial for those who need enviromental confirmation that they are appreciated and valuable. At Walla the work continued with patients, various educational programmes was organized and an annual conference on psychotherapy of psychoses was held. We are hundreds of participants who over the years got the opportunity to listen to and be inspired by prominent international lecturers with compehensive experience from treatment of psychoses. We aquired increased knowledge, a broader perspective on our not very glamorous daily duties and the joy in our work was reinforced. We will remember the jolly conference parties for many years. In her work and in her view on schizophrenia and treatment, Barbro separates the existential aspects of human life from other fields of knowledge. I have understood her main point in her work with patients in the following way: we must seek to confirm their courage to live and the creative power inherent in all of us, but which the the patient suffering from schizophrenia lacks a firm experience from. The originally “created illusion of paradise” must be able to grow into the world, with sufficient security, in order to maintain faith in life and the creative ability. When it comes to psychological and psychotherapeutic influences, Erich Fromm, Donald Winnicott and Jean Piaget among others were important for Barbro´s thinking. Personally, I am pleased to note that modern research on infants, for instance by Daniel Stern, confirms many of the thoughts developed by Barbro. This applies, for example, to her ideas about the needs of the infant in its growing into an individual and to what is needed in psychotherapy of psychoses in order to bring about a lasting maturity. Walla still works in the spirit of the “Sandin model” and although Barbro retired in 1993 and later moved to Gothenburg, she continues to supervise, for example at Walla. In 1993 “Crossing the borders” was published, a book on psychotherapy of schizophrenia, to which Barbro contributed. Together with Lisbeth Palmgren, Barbro wrote the book “Galenskap som risk och möjlighet”(“Madness as a risk and possibility”) in 2000, in which they reflect on authors with mental suffering. The writings of Barbro are unfortunately mainly available only in Swedish. Barbro Sandin will however be represented with an essay in a book that the ISPS intends to publish in 2007.